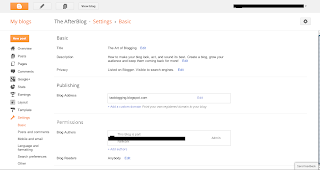 Start by heading to the Settings in your Blogger dashboard. Clicking on this will lead automatically to the Basic Settings window. The title can be very important, and will decide how readers see your blog. Your title, like you name, can be an important first impression. 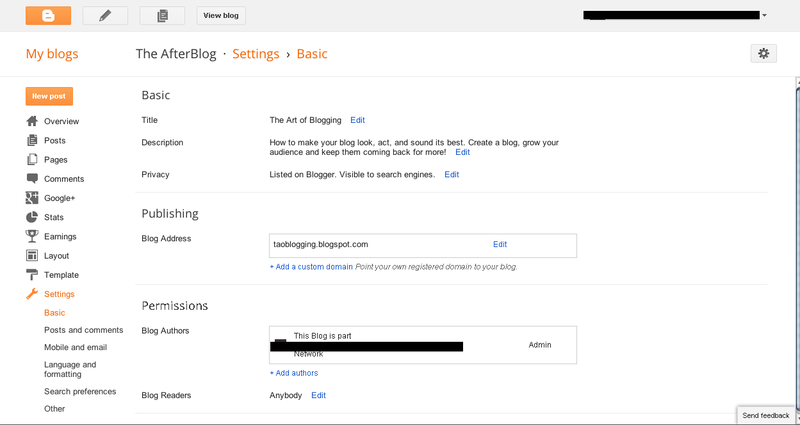 The title is what your blog will be known as, both on Blogger, and as a project. If you move to a .com or another address later, you will want to keep the address and the title of your blog similar, if not identical. 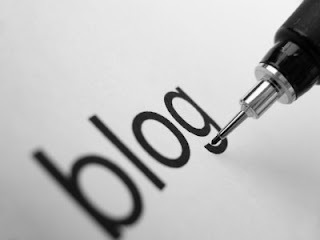 Try something meaningful or pertinent to your blog.